Alveolitis is an inflammation of a socket after tooth extraction. Depending on the medical indications, different approaches to alveolitis treatment are possible. The most widely used is the application of the Japanese drug Iodo-Glycol Paste Neo into the dental socket. 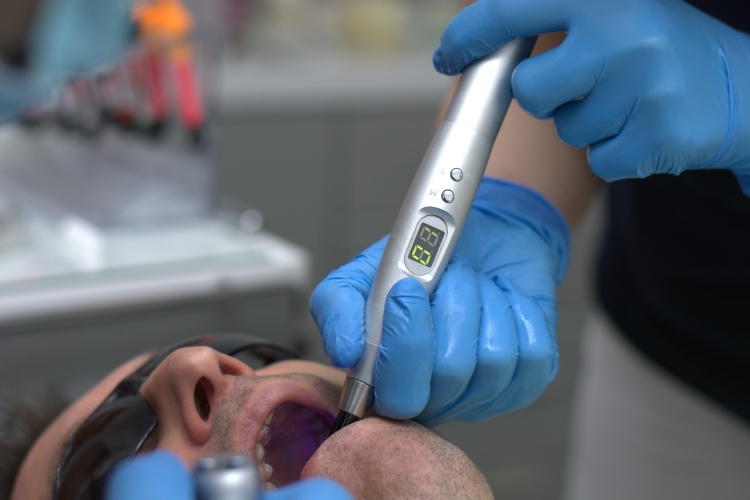 This allows us to quickly decrease inflammation and start the recovery processes in the socket after tooth extraction. There is no need to undergo anesthesia and irritate the socket, so the pain and discomfort after the procedure are minimized. At the dental center iStomatolog we conduct a successful pain-free treatment of alveolitis with modern medications. Book a free consultation. The specialist of the iStomatolog Center will determine the type of inflammation of the dental socket, determine the best treatment method, and consult you about the next steps.